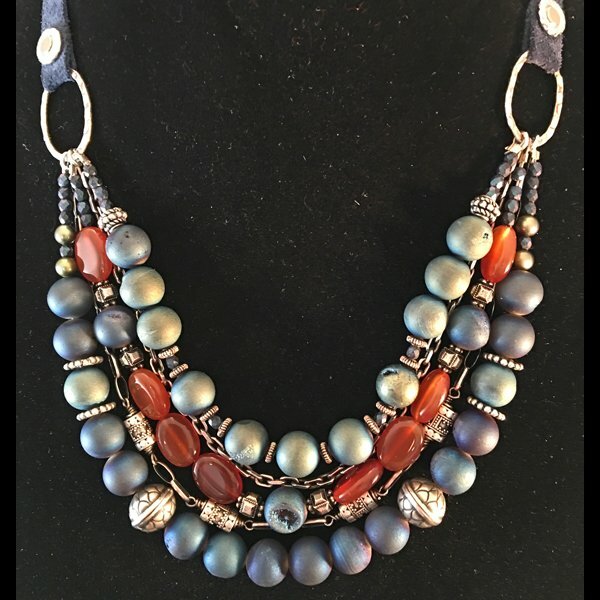 If you already know how to string beads and want to take your skills to the next level this class is for you. Learn placement and balance of stones, chain and spacer beads. Use leather to unify your creation and learn to set rivets.